Ankara small designed dining table means compromising no space issue yet balancing the contemporary and modern appearance. A clear glass with powder-coated chrome finished legs keeps a simple binary theme, able to suit in easily with you current decor. Constructed of tempered safety glass and scratch-resistant. 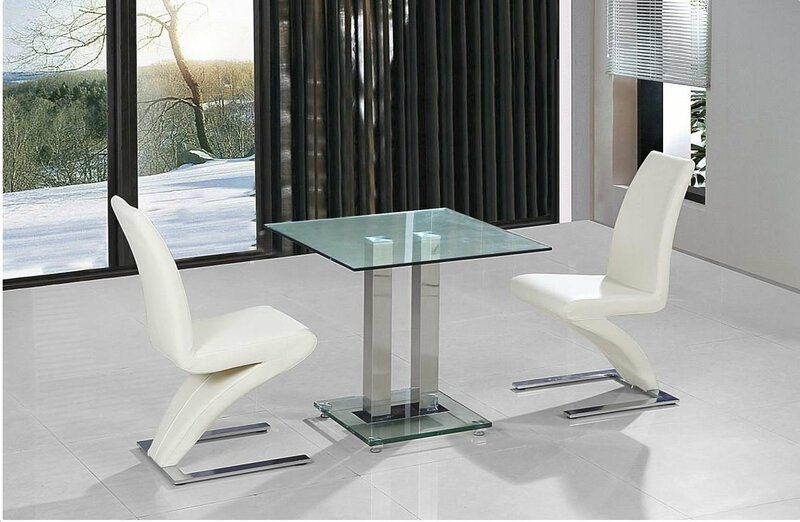 This table offer rugged construction while preserving a sleek look.